Engagement Ring and Wedding Ring: Do You Really Need Both? Finding the right partner and making the relationship last is something to be cherished. But there comes a time when you need to give your relationship an upgrade. When you and your partner are ready to take the plunge and take the nuptial vows, a lot of preparation must be initiated. The first step towards taking the plunge is buying an engagement ring. Without the engagement ring, there can be no proposal. Once you are all set to get married, you need to further invest in a wedding ring. How are these two different from each other and do you really need to buy both engagement and wedding rings online? Simply put, an engagement ring symbolises the betrothal of a woman. It is a symbol that screams “I am off the market.” The history of engagement rings come from affluent Roman men giving betrothal rings to young girls as a symbol of promised ownership when the girl came of age. Today the tradition is carried on over Instagram pictures, where the symbol of being “owned” by a man has been transformed into a more positive symbol. Today an engagement ring is seen more like a man’s promise of commitment. Engagement rings are usually flashy diamond or gemstone rings that draw attention to the fact that the wearer is soon to be married. Traditionally women wear engagement rings, though recently men have started wearing them too. The history of wedding rings dates back to the Egyptian Civilisation where rings made of reeds were exchanged by couples during the nuptial ceremony. The circle represents eternity, or eternal love, between the wedded couple. In many cultures today, the women wear wedding rings, while in some wedding rings are not worn at all. But for those who do choose to buy both engagement and wedding rings online, the engagement rings are the flashy ones, and the wedding bands have simple, sophisticated designs that can be worn on a regular basis. Wedding bands are worn after the rings are exchanged during the wedding. Some women choose to get the two rings combined into one, some wear both rings together, and some just wear their wedding rings. Do You Really Need to Buy Both? When you are buying both engagement and wedding rings online, you might get a good deal. But the problem with buying two rings is that you have to split the money set aside to purchase the rings. In dividing the money, you have to settle for two affordable rings at a high combined price. Instead, if you choose to go for a single ring, you can use the money to buy a single expensive ring. Purchasing a single ring makes greater financial sense. Many women choose to wear a single ring. Not wearing the engagement ring, after spending so much on it, is an exercise in futility. Combining the two rings can be an additional cost. Practically, buying two rings makes less sense. Getting two rings is an archaic tradition that couples are choosing to walk away from. 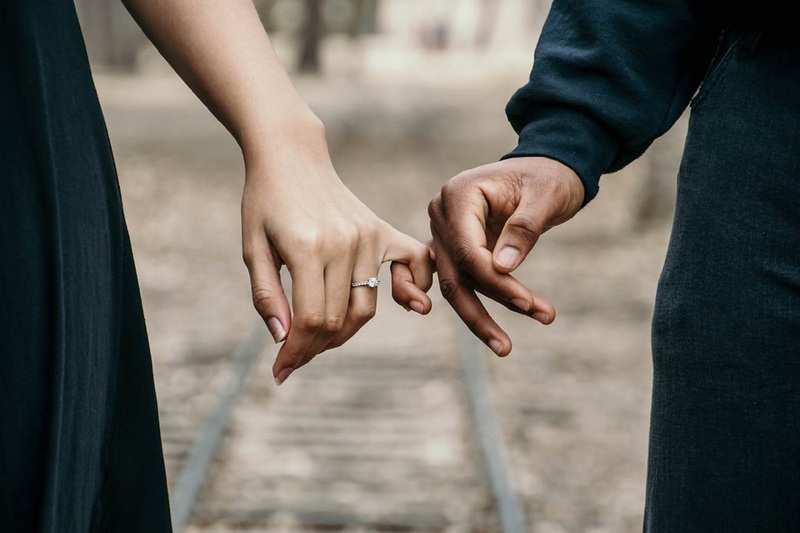 When buying engagement and wedding rings online ask yourself and your partner, do you really need two separate rings for primarily the same purpose?